One thing that's been on my to do list for several years now has been to go and watch Salmon leaping. It's an annual phenomenon occurring each autumn as fish head back upstream to spawn and requires a few key ingredients. The first, a river, is in no short supply around here but the other two, good timing and a suitable obstacle, had thus far eluded us. It was with that in mind that we'd been keeping a close eye on reports from across our area in recent weeks with initially Cardiff looking the most promising option. 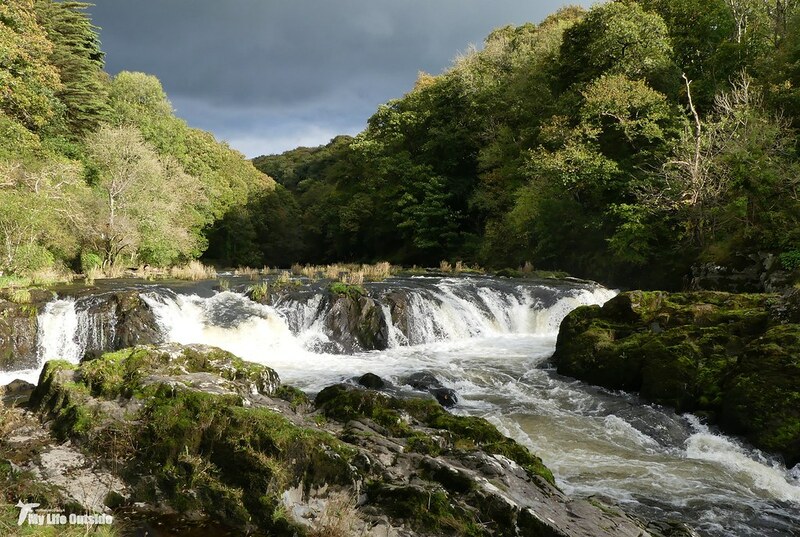 That was of course until we stumbled across a tweet mentioning Cenarth Falls, not only somewhere we'd been meaning to visit in any case but also a location which looked to offer easy access to the water and a nice natural setting for photography. We arrived with the sun in tow and immediately you could see why these falls are so revered. 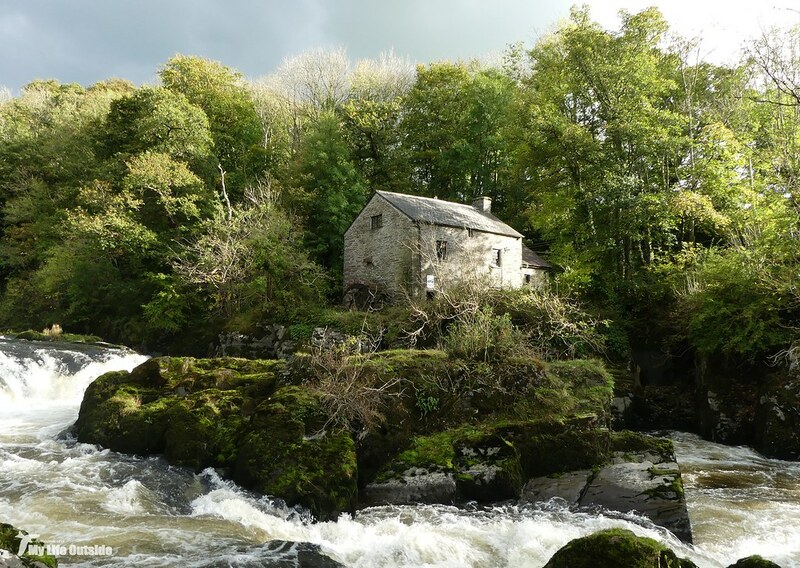 Stunningly beautiful they provide an abrupt interruption to the river Teifi's flow and to us our best chance of seeing leaping Salmon this year. And see them we did! At this point however it's probably best to discard all notion of what you think this spectacle might look like as chances are that, like me, your thoughts are almost certainly based on wildlife documentaries showing bears fishing in Alaska. We like to do things on a slightly smaller scale here and during a forty minute watch we managed to witness four separate jumps. The Salmon involved were somewhere in the region of half a meter long, not full size by any means but certainly some of the largest native fish I've ever seen. More importantly they were indeed actual Salmon which means I can finally and happily tick them off. Of course a photo to record the event for posterity would have been nice but with each fish only visible for a split second and no way of judging where or when they'd leap, that simply didn't prove possible. 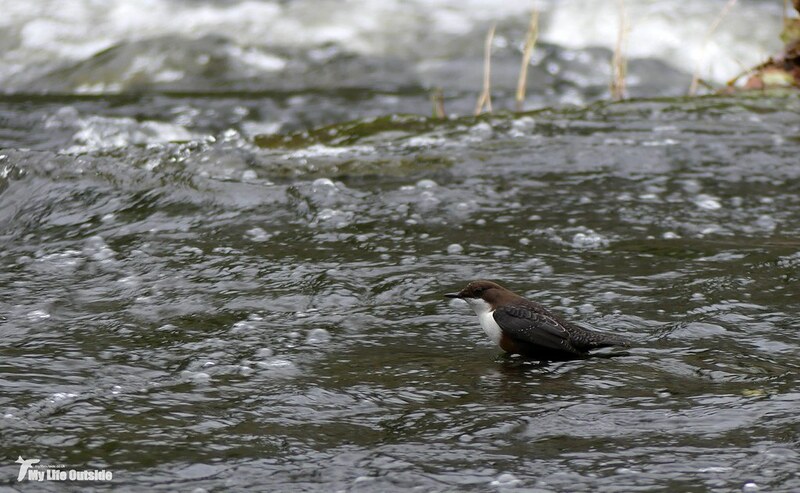 There were however a multitude of Dippers and Grey Wagtails present which I was more than happy to point my camera at. If we had more weekends spare we'd definitely be making a return trip as I know we didn't catch the run at its best but alas that will have to wait until next year. At least now we have somewhere that we know is a reliable place for sightings, and in surroundings which don't come much more highly recommended.